We are a small coffee roasting company committed to providing a unique globally-minded product. The Dalai Java makes the conscious choice to roast only Fair Trade and Organic coffee beans. All of Dalai Java's varieties of organic, fair trade beans are craft roasted with care in small batches to achieve the best flavor notes and maintain peak freshness. Dalai Java's in-house roaster, Moksha has a passion for coffee and a passion for flavor. With a discriminating palate she personally selects arabica beans from the finest coffee growing regions in the world. Honoring each bean's potential, depending on each region's attributes such as altitude, drying process, climate and soil conditions, she meticulously hones the roasts until she evokes the most compelling flavor profiles from each batch. Reaching beyond a particular roast level, she subtly adjusts roasting techniques to bring out specific qualities in our coffees. Settling for nothing but the most satisfying flavor highlights, she shares, with joy, what she discovers with you. Come visit The Dalai Java in downtown Canandaigua! For your home brewing, we offer an impressive regional variety of freshly roasted beans from which to choose. Enjoy our unparalleled cold brewed iced coffee, or one of our other many coffee offerings. Espresso, lattes, frappes, and also real fruit smoothies, teas, baked goods and snacks, local honey, and wares from local artists! Dalai Java's whipped cream and flavored syrups are made from scratch and we offer several organic milk alternatives. 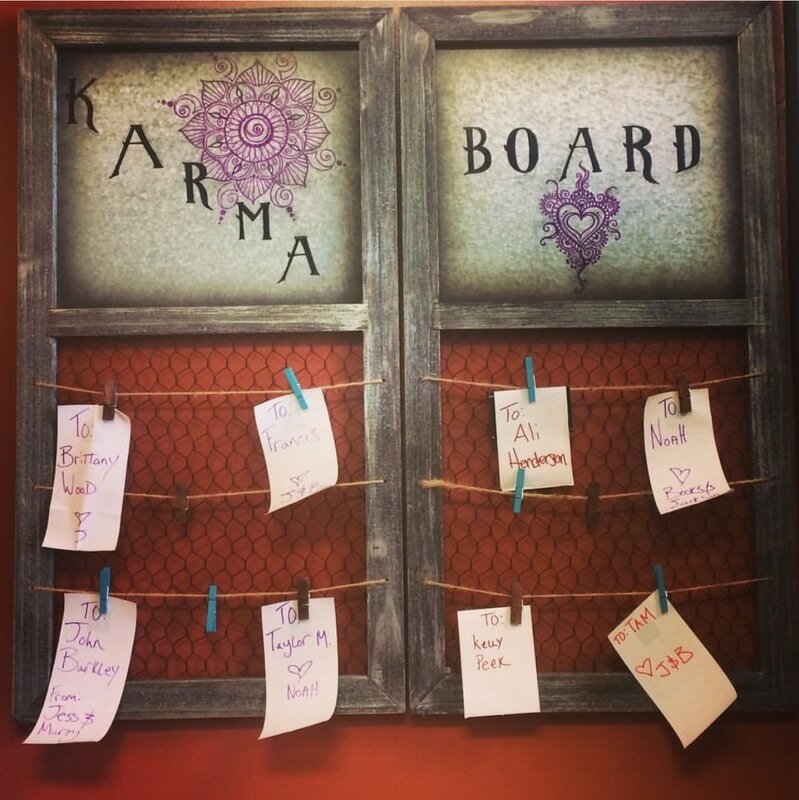 Keep the coffee and good vibes flowing - exchange Java Love on Dalai Java's Karma Board! Traditional Chinese Medicinal Herb Blend.